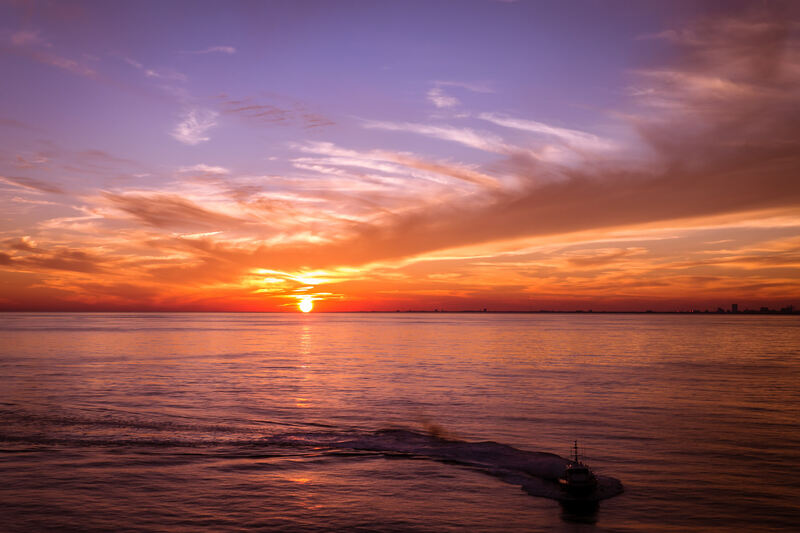 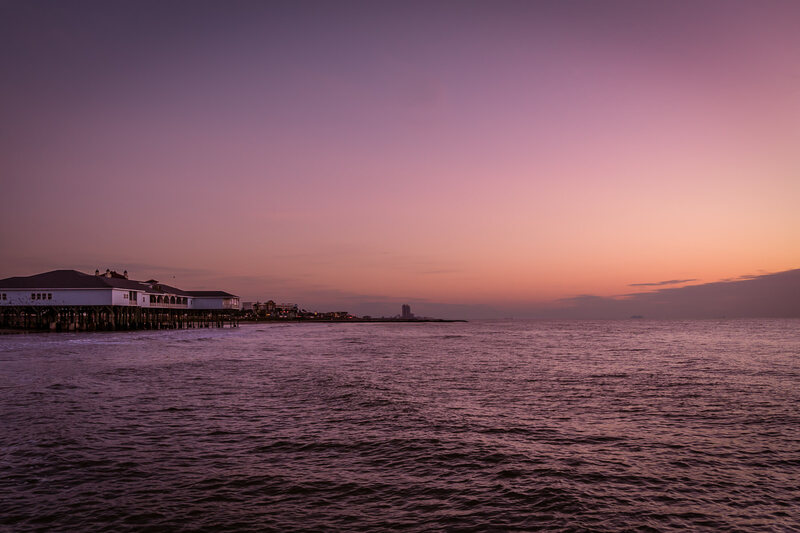 The first light of the rising sun illuminates the Gulf of Mexico and Galveston Island, Texas. 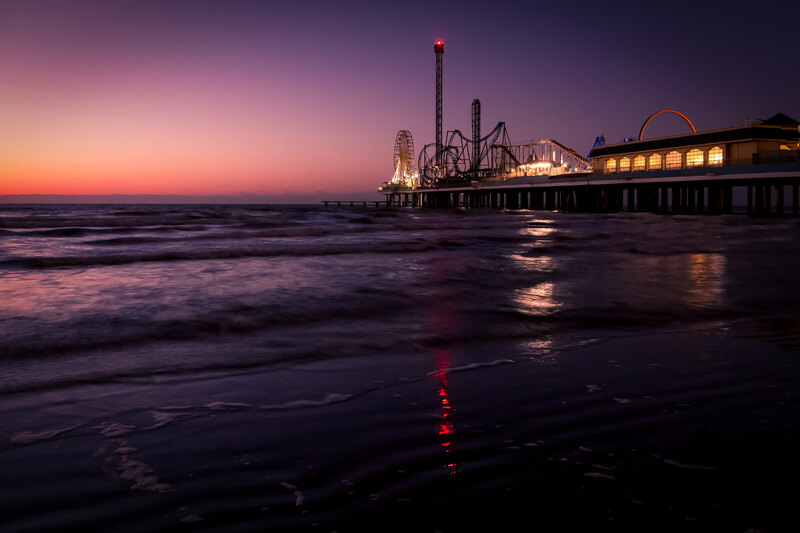 The first light of the day illuminates the Historic Pleasure Pier in Galveston, Texas. 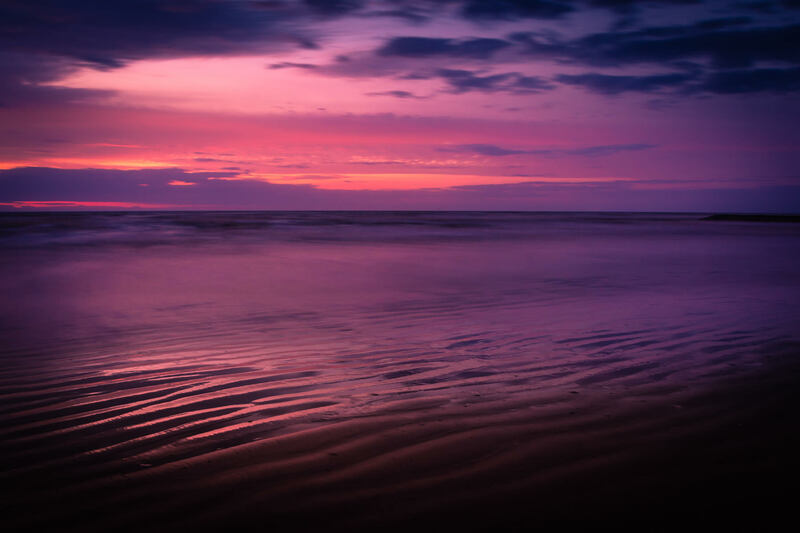 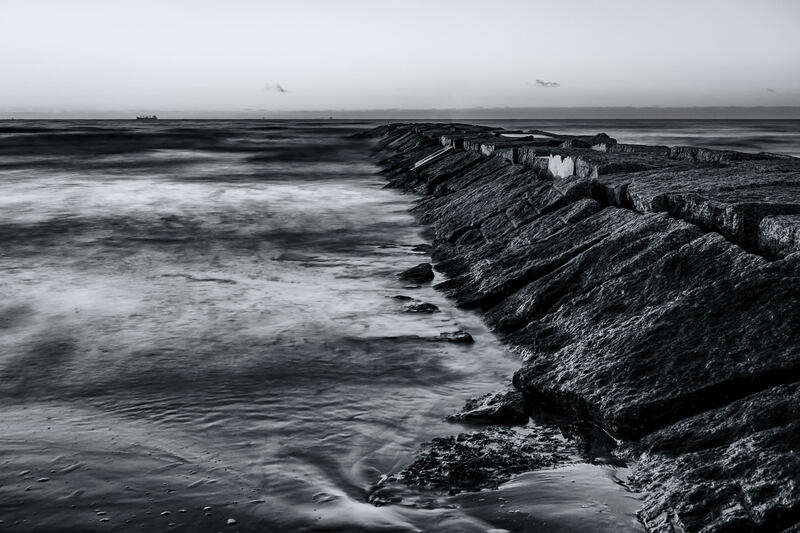 Early morning surf is rendered smooth by a long exposure as it crashes into a granite groyne on the Galveston, Texas beach. 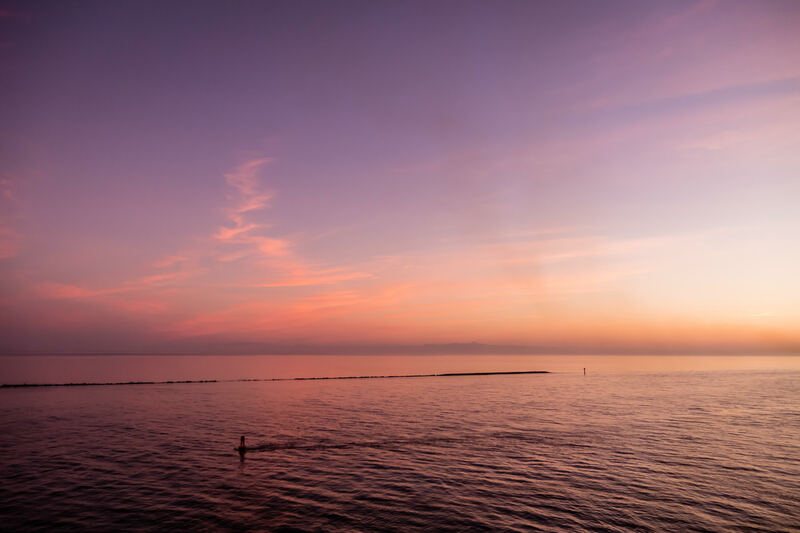 The first light of dawn illuminates distant clouds over the Gulf of Mexico as seen from a Galveston, Texas, beach. 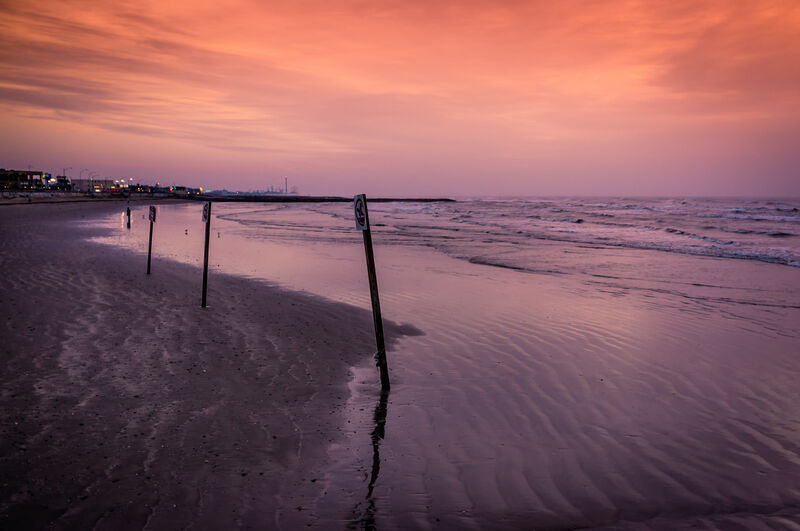 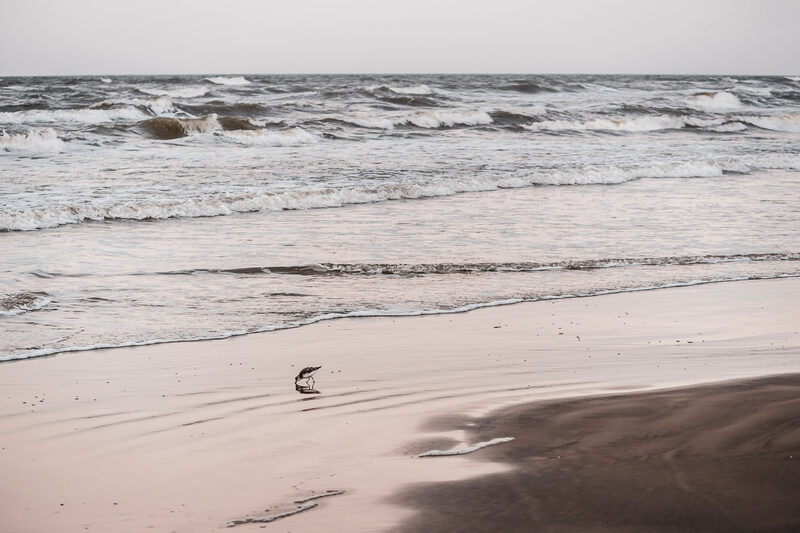 The early-morning sun begins to light up Galveston, Texas’ beach on an overcast day. 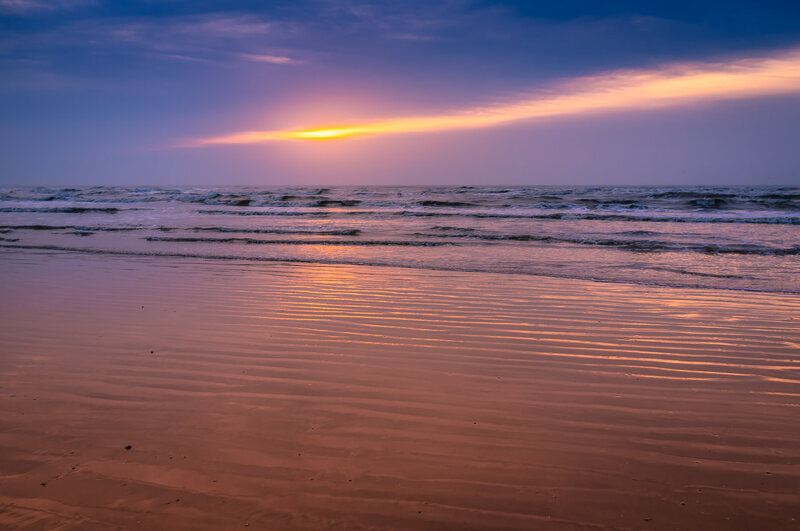 The sun rises over the Gulf of Mexico, shining through the early-morning clouds at Galveston, Texas. 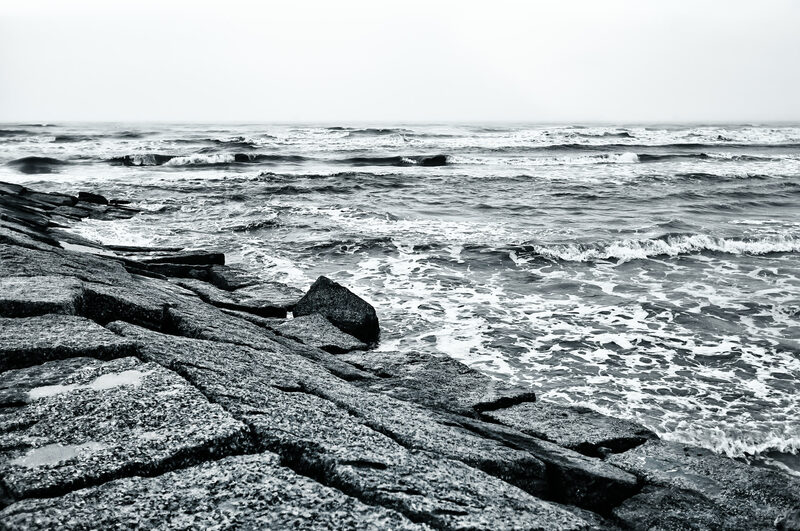 Waves crash against a granite groyne on an overcast day at Galveston Island, Texas.